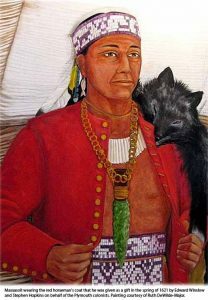 When the American Aborigine Chief, the Massasoit Ousamequin (Yellow Feather) first met the Pilgrims in what is now Plymouth, MA in 1620, he was living forty miles to the southwest in an area known as Sowams. While Massasoit presided over a network of tribes extending from just south of present-day Boston to Bristol, RI and from the Atlantic coast to present day Providence, RI., the area he chose for his home was along the Providence, Runnins, Ten-Mile, Barrington, Kickemuit and Palmer Rivers. From the time of the last glacial retreat approximately 12,000 years ago, these lands and waters have proven to be a bountiful resource for those making this area their home. The land came to be known as Sowams or ‘south country’. The original Algonquian people came to be known as the Pokanoket which refers to the “place of the cleared land” and later by the Colonists as the Wampanoag, “people of the first light”. Sowams was a rich land, described as a “garden” by Miles Standish and prized by the aboriginal tribes for its rich soil, abundant wildlife and access to the water that provided their food. When the colonists arrived, much of the land had already been cleared over the centuries to provide good hunting and easy access to fishing. Though tribes moved their settlements from place to place depending on the seasons, the area known as Sowams was highly prized for its natural resources. Though he had met briefly many times with European explorers and traders, the Massasoit’s first meeting with the Pilgrims in Plymouth on March 22, 1621 began a continuous peaceful relationship that lasted until his death in 1661. 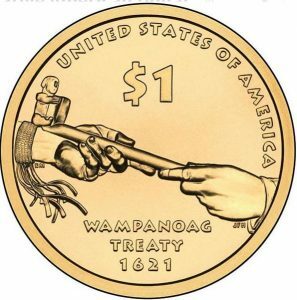 However, over those forty years, the land over which Massasoit presided was gradually sold to the colonists in exchange for tools, guns and other items that the English supplied. As more colonists moved into Sowams, it became clear to both Massasoit and his sons, Wamsetta (Alexander) and Metacom (named King Philip by the English), that they were losing control of the land and losing much of their population due to diseases that the colonists brought. Finally, following the Massasoit’s death in 1661 and continued encroachments and perceived injustices, war broke out in June, 1675, in present-day Warren. 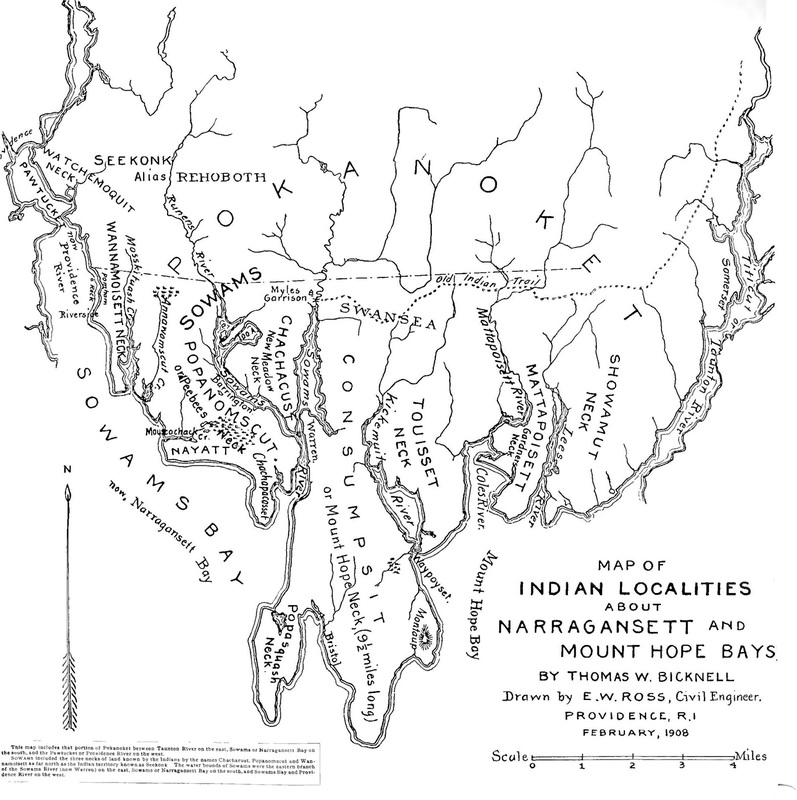 Pokanoket, Narragansett and Nipmuc tribes joined forces to burn colonial villages from Dartmouth to Northampton, including all of Sowams, in an effort to force colonists to flee. In 1676, colonial armies were able to gain the upper hand, and with help from other tribes, were able to bring the war to a close in August, 1676. In the ensuing years, the unsold native land was occupied by the colonists, and nearly all of the remaining aboriginal population was either enslaved or moved onto reservations. Over the next 150 years, towns were laid out in what was once Sowams, and nearly all traces of its original inhabitants were erased. What followed were years of continual development, the growth of towns, and the gradual loss of much of the original natural abundance that the colonists first encountered. It can be argued that Sowams is the pivotal place of cultural exchange between indigenous people and colonizing settlers in North America. Few people realize that there was a treaty between the Pokanoket Tribe and the Puritans established around March 21, 1621. This peace treaty stood for over 50 years before it was broken during the conflict known as King Phillip’s War in 1675. The initiation and duration of the peace is unique among the colonial patterns of interaction across the New World. The human toll of the eventual conflict was the costliest to its respective populations. The impact of the outcome of this clash of cultures continues to this day. This web site is designed to identify the vestiges of that original pristine land and the evidence of the first steps in 17th century colonial occupation that transformed Sowams into what we have today. Granted, there are areas where the natural beauty still shines through, like the Ten Mile River in East Providence, Sowams Woods in Barrington or the Waypoyset Preserve in Bristol, but much of the original “garden” that the English settlers described when they discovered it is now buried in asphalt, covered with urban structures, or modified to such a degree that it’s unrecognizable from what the aboriginal population once knew. We invite you to explore the many remaining locations that are identified and described on this site that still give evidence of Sowams in the 17th century and of some of the important events that began the transformation of the land into what we have today. We hope that your increased awareness of the history of this region will help you to appreciate not only what we once had but also what we still have that is essential to protect. While we cannot undo history, this web site argues for continued efforts to identify, preserve and protect the open spaces and water that still remain, to locate places of importance to the indigenous people, to identify markers that signal the historical transition, and to reduce the unrelenting pace of development that could devour what is left of this beautiful land. If you wish to join this effort, consider joining a local land trust or preservation group and add your voice to that of those who are already committed to the task. Click here for a Timeline of 17th Century events.